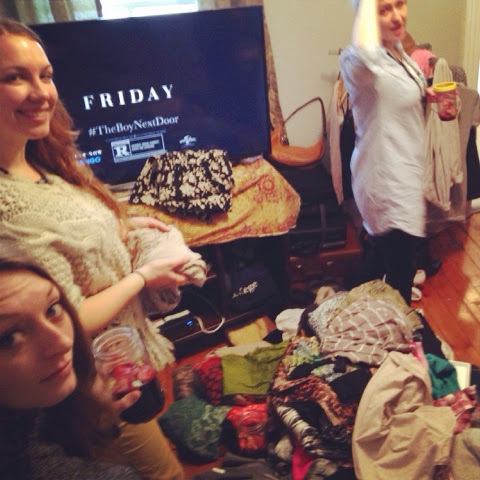 As I mentioned yesterday, I hosted a clothing swap last weekend and it was the best. 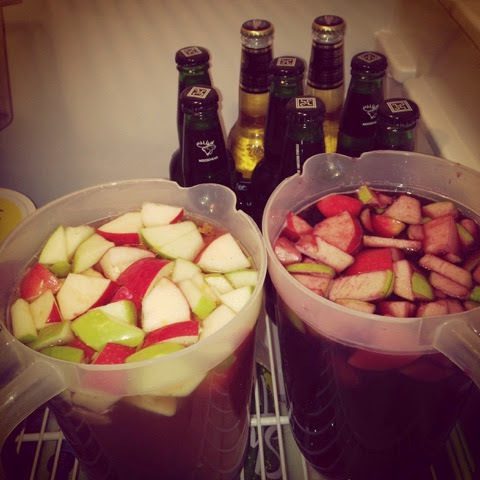 I made pitchers of sangria, left a what not to wear marathon on the tv, borrowed a bunch of chairs and a clothes rack, and invited 8 friends and their surplus attire over for a very girly afternoon. Everyone walked away happy with a bag of new free clothes and a joyful attitude, and it was a perfect antidote to the winter blahs I've been experiencing lately. We decided it needs to be a regular occurrence that can be done with books, accessories, etc! One of my finds was this basically unworn basic cardigan in fuschia. 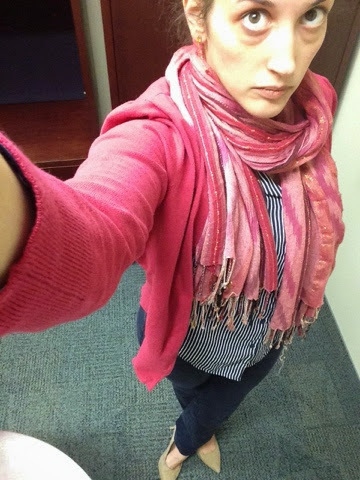 I wore blue and pink to match my daughter's outfit today and I love the effect the hot pink has on my winter mood. I don't often wear such girly and vibrant colours and a swap is a great way to acquire clothes you wouldn't normally buy without spending a dime. Another guest, a girl I'd never met before and instantly bonded with (new friends = win win win) scored some patterned pants that fit her like a glove but she never would have had the courage to buy. Highly recommend hosting and attending an event like this, it was transformative!! thanks hun!!! i was thinking it's a useful exercise even if no one reads it, but more fun if people do :).... in 2013 I posted almost entirely about collections and a post was liked by a Harper's Bazaar editor, the internet rocks.